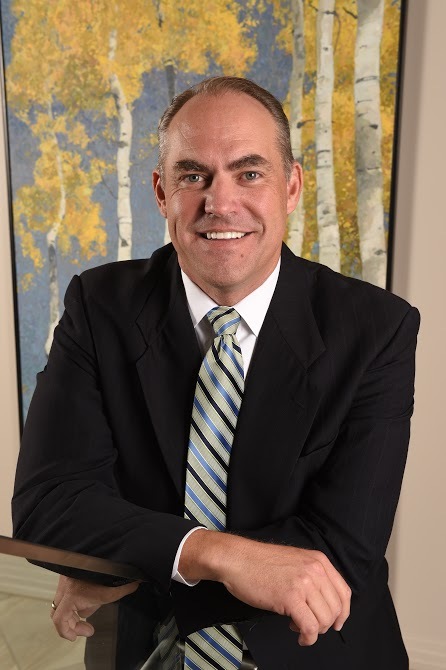 Greg Saylin is the Chair of Fabian VanCott's Employment Practice Group and has nearly 20 years of experience focused on employment law and commercial litigation in Utah, California and throughout the country. For employers, he provides practical advice on matters such as restrictive covenants (non-compete, anti-raiding, confidentiality), trade secrets, sexual harassment and discrimination, retaliation, wrongful termination and compliance. Greg is an experienced litigator, representing commercial clients in complex disputes, business torts, unfair business practices, corporate control and valuations, and civil fraud. Having in-house experience, Greg understands the real-world and practical needs of companies facing difficult decisions and helps them to manage and avoid risk. He represents a broad diversity of clients - from Fortune 500 companies to startups. His practical advice focuses on resolving concerns and challenges in ways that are economical and make good sense. Teaming with Fabian VanCott attorneys in other specialties, Greg has the leadership and experience needed to find solutions. Greg is a frequent speaker on employment and professional responsibility topics. For private clients, he regularly offers training to supervisors and non-supervisors on topics such as sexual harassment, investigations and discipline, and covenants not to compete, as well as other HR topics. Greg also speaks before industry groups such as the Employer's Council and the Association of Corporate Counsel, as well as firm employment law seminars and breakfast briefings. He has authored many articles and given interviews for television, radio and the press on employment law topics. Greg started his legal career at Latham & Watkins in Orange County, California. He earned his law degree from Vanderbilt University where he graduated as a member of the Order of the Coif and was editor-in-chief of the Vanderbilt Journal of Transnational Law. He received his bachelor's degree from Sarah Lawrence College in New York, where he majored in political science and Spanish, a language in which he is fluent. Greg is licensed to practice in the state and federal courts of Utah and California, with experience representing clients across the country. Greg is recognized annually as one of the leading attorneys in employment law and litigation, including as one of Salt Lake City's Super Lawyers, one of Utah's Legal Elite by Utah Business Magazine, and as one of Mountain States Super Lawyers by Super Lawyers Magazine. Greg is the author of dozens of articles on employment law in publications such as the Utah Bar Journal, SHRM Online, Inside Counsel, Practical Law and e-Updates. He is also a frequent speaker including with the Employers Council, Association of Corporate Counsel, and other seminars. He has been featured for employment law expertise in the Deseret News, KSL Radio and TV, Rod Arquette Radio Show, and Fox Business. "Employee Wellness Programs," Labor & Employment Seminar, February 2015. "Top 10 Reasons Your Employees Sue You," Employer's Council, February 2015. "Troublemakers: Negotiating the Minefield of Problem Employees," Corporate Counsel Symposium, October 2014. "Utah Employment Law Update," Utah Employment Law Seminar, May 2014. "Employee Discipline and Investigations," Utah Employment Law Seminar, May 2014. "Employee Separations," Community Foundation Seminar, May 2014. "SCOTUS Update - A Big Year for Employment Law," Labor and Employment Law Fall Conference, September 2013.